The action picks up with The Voice of Rao telling his assistants to start preparing for the Nova Cycle Celebrations. We still haven’t fully seen him, only in his mask and in a quick shot from behind. However, a new character comes on the scene, the leader of a Black Zero terrorist strike team. The Black Zero terrorists intercept Seg-El before the Sagitari get to him after Seg-El knocks out a power sector. 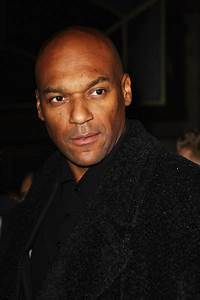 Colin Salmon (CW’s Arrow) is the aforementioned leader, who may or may not be Black Zero leader Jar-Ux. Back in the fortress, Val-El continues to diagnose Rhom, injured due to Braniac’s influence in the previous episode. While Rhom is still alive, it will only be a matter of time before she passes, and Seg decides he himself will go tell Rhom’s daughter, Ona. Jayna-Zod informs her daughter that she’s to report to intelligence for review in the wake of the blunder down in Rankless-town which led to the death of three Sagitari. 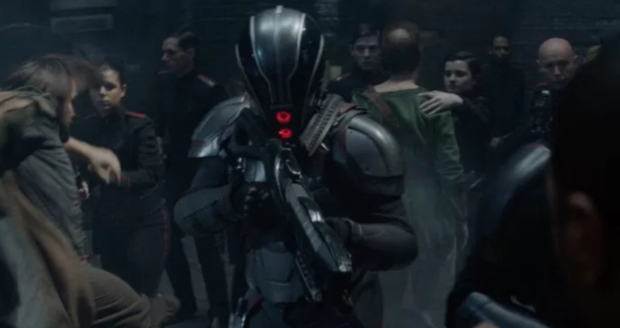 The Voice of Rao confronts Daron-Vex and tells him that someone must pay for the innocent Rankless man killed by Kol-Da. Rao insists that the Nova cycle must kick off smoothly and the leader insists the convicted must be someone of high authority. Meanwhile Lyta-Zod is having her hearing while Daron-Vex marches in and accuses Lyta-Zod of conspiring with Black Zero and charges her with treason. Before Seg-El can explain to Ona what happened to her mom he is interrupted by Kem, who informs him of what is happening to Lyta-Zod. Seg immediately goes to the Military Guild and runs into Jayna, who clearly has a differing opinion on Lyta-Zod. Seg-El tries to implore his intended, Nyssa-Vex. to assist in helping Lyta-Zod. Nyssa agrees to help Seg-El, but also gets him to confess to his true feelings for Lyta-Zod, confirming her suspicion. Jayna-Zod and Nyssa-Vex visit Lyta-Zod in jail, and Nysa-Vex agrees to help Lyta-Zod, despite an uneasy alliance between the two women. After arguing with Adam Strange about what to do with Rhom’s body Seg-El is captured by the mysterious member of Black Zero who drops a mind controlling bug into his nostril. The bug, was apparently only a test to see if he was a part of Braniac’s army or not. Meanwhile father and daughter have a confrontation about the future of the House of Ex. Nyssa-Vex, continuing to show more and more strength reveals she isn’t just a puppet for her father, but with the combination of the House of Vex and El will be able to overthrow Rao. Gem, still with Ona, has told her that despite her mother no longer being there will always be there for Ona. While the festival is going on Ona gives the Voice of Rao an offering of her gold statue. The Voice of Rao decides to bring Ona on as apprentice. Rhom’s final breath is a warning of a terrible fate of Ona, while the link with Braniac has finally been severed, and Rhom immediately dies thereafter. 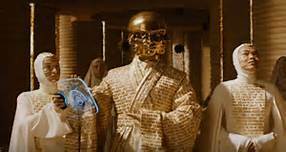 After presenting Ona to the Rankless crowd in her new white and gold robes, The Voice of Rao retreats back to his chambers. Suddenly, a black tendril erupts from the statue and stabs him in the arm, choking him violently. Braniac has found a new host.